Vladimir Putin secured some 63.6 per cent of vote in Russia's presidential election. The head of Central Election Commission declared him the next president of the country. The commission has counted more all of the ballots. “As you can see, the election finished in one round,” Vladimir Churov said, as he announced Putin’s landslide victory. Gennady Zyuganov scored 17.2 percent of the votes. In third place was political newcomer Mikhail Prokhorov, who won 7.9 percent. Vladimir Zhirinovsky and Sergey Mironov won 6.2 and 3.9 per cent of the vote respectively. Exit polls showed results similar to the CEC’s intermediate data. 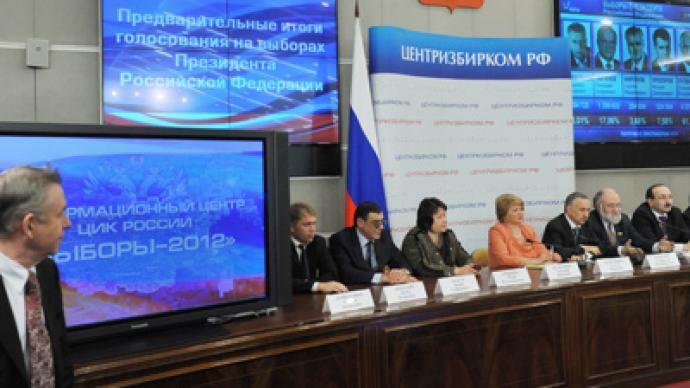 According to a Russian Public Opinion Research Center (VCIOM) survey, about 58.3 per cent of Russians cast their votes for Vladimir Putin, while Gennady Zyuganov got the support of 17.7 per cent of the country's voters.Mikhail Prokhorov, Vladimir Zhirinovsky and Sergey Mironov won 9.2, 8.5 and 4.8 per cent of the votes respectively. Around 1.5 per cent of the respondents said they had trashed their ballots. 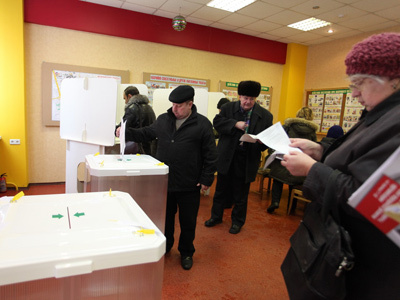 Russian election authorities continue counting the last 0.5 per cent unaccounted ballots under observer supervision. According to the preliminary data from Russia’s Central Election Commission, over 63.3 per cent of registered voters went to the polling stations Sunday. The figure is lower than during the previous presidential election, in 2008, but higher than during the parliamentary election in 2011. Observers reported a number of violations during the vote across the country. 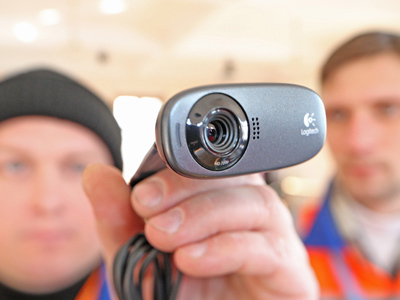 Results at one polling station in Dagestan, in the North Caucasus, will be annulled due to a video recorded by one of the webcams. It showed several people casting multiple ballots. Vladimir Putin's campaign headquarters says it will demand the cancelation of results at every polling station where such serious violations are revealed. Russians have demonstrated an unprecedented level of political engagement leading up to the vote. Hundreds of thousands of independent vote observers were spread nationwide, and every ballot box was under the watchful eye of live webcams. The overall organization of the election process and the monitoring system has received positive feedback from the majority of Russian and international independent observers. Such measures follow allegations of widespread vote violation in a December parliamentary vote leading to a number of mass protests across the country. The authorities tried to satisfy people’s call for fair elections and made the vote as transparent as possible. 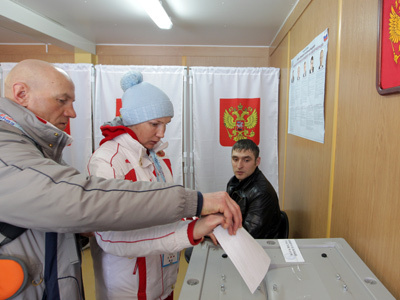 Voting opened at 12 pm Moscow time in the country’s most eastern areas, including Chukotka, Magadan, and Kamchatka, and ended at 9 pm in the western Kaliningrad region.